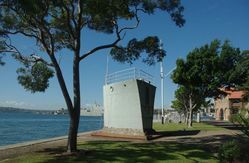 The H.M.A.S Parramatta Bow Memorial commemorates the HMAS Parramatta (1) for its service during World War One and its part in the establishment of naval forces in Australia. 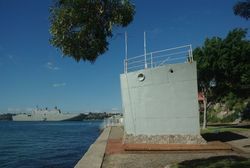 The wreck of the former HMAS Parramatta is remarkable for its early associations with the establishment of Commonwealth Naval forces. A torpedo boat destroyer (TBD), Parramatta was the first of six built to serve as fast hunters of the "River" Class, a modification of the British "I" Class destroyer. This class was the last British warship designed with an external rudder system. 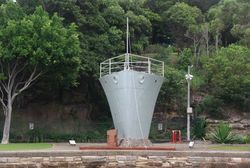 With Pennant Number "55" painted on the bow, Parramatta was the first of the Australian group built by Fairfield Shipbuilding & Engineering at Govan, Scotland in 1910. It was also the first to arrive in Australian waters. With the outbreak of war in 1914, Parramatta (I) immediately saw active service in German New Guinea serving with the Australian fleet led by HMAS Australia (I). During 1914, Parramatta (I) steamed 193 miles (310.6 kilometres) up the dangerous Sepik River in New Guinea in search of enemy vessels. Parramatta spent much of 1915 and 1916 enforcing shipping movements in the western Pacific. In mid-1917 the whole destroyer flotilla was sent to the Mediterranean and based at Brindisi, Italy, on Adriatic patrols to seek out enemy submarines. 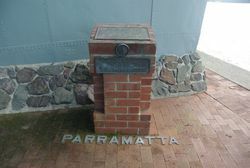 On 12 November 1918, Paramatta (I) was part of the Allied fleet that entered the Dardanelles after Turkey agreed to an armistice. 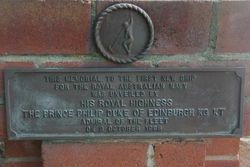 After the war, the destroyers sailed to England for leave, then returned to Australia. Here they were individually decommissioned between 1919 and 1928. 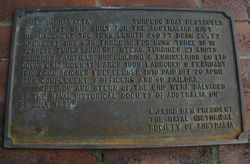 In 1972, the Naval Historical Society of Australia began a project to recover the bow and stern for a memorial to the vessel and its later namesakes (Parramatta (2) and Parramatta (3), and Australian naval history generally. 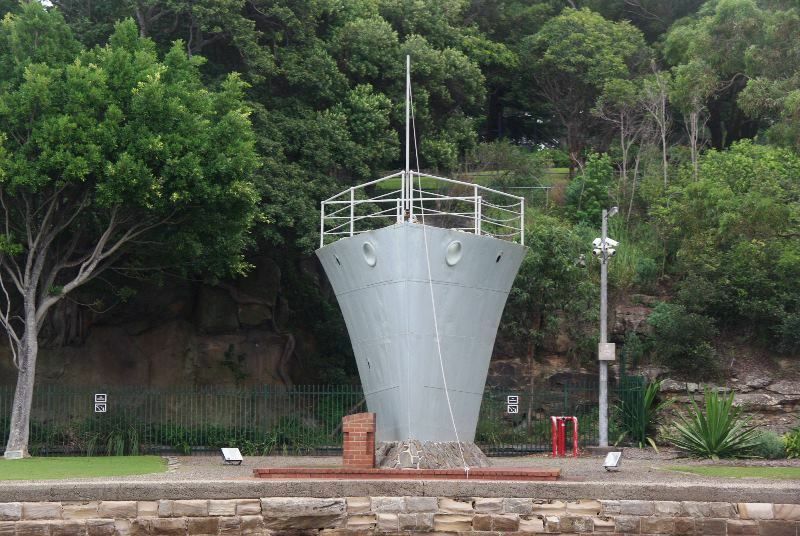 However, funding and other constraints delayed the project with the stern finally being mounted in Queens Park, Parramatta in 1981 and the bow at Garden Island in 1986.